Imagine discovering commanding scenic views of the countryside inn western Massachusetts without having to hike a gazillion hours or driving dangerous inclines. Mount Sugarloaf in South Deerfield, Mass., is that place. A 40 minute hike up the hill (it’s really not a mountain at 652 feet high) or a five minute drive affords some of the most stunning views possible for such little effort. 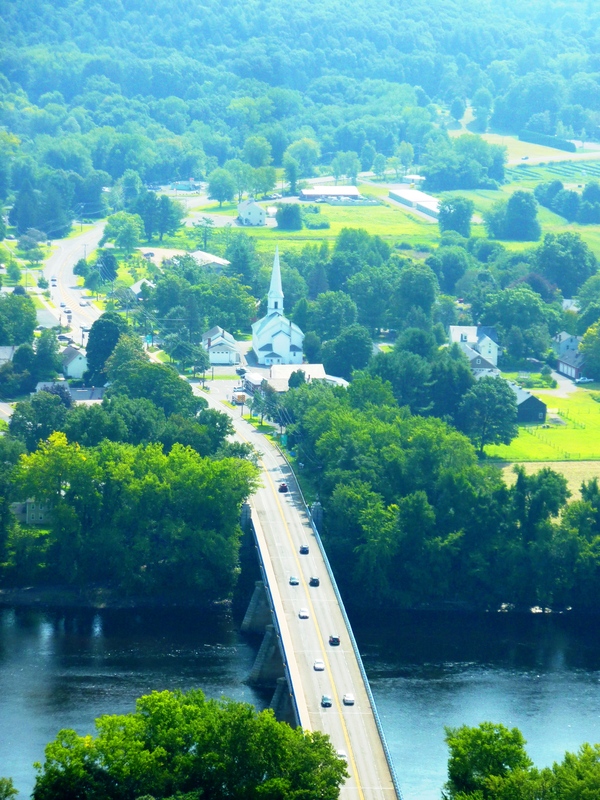 The charming town of Sunderland and the Connecticut River provide the most recognizable scenes from the top of the hill or farther up the observation deck. A $5 admission fee is all it takes to access these amazing scenic views. Mount Sugarloaf even offers picnic tables and a pavillion — talk about dining out with a view! Just be sure to go on a good weather day for an optimal experience. Summer might be the best time to visit Mount Sugarloaf, but fall has it virtues, too, with some beautiful colors to enhance the scenic views. What a true hidden gem worth visiting! Mount Sugarloaf State Reservation is located at 300 Sugarloaf St. in South Deerfield, MA. Tel. 413-665-2928.